Assoc. Prof. Odette Spruijt, an honorary palliative care consultant at the Peter MacCallum Cancer Center, received a Traveling Fellowship to conduct an education program in India. She plans to grow this relationship with future visits, both educational and mentoring. 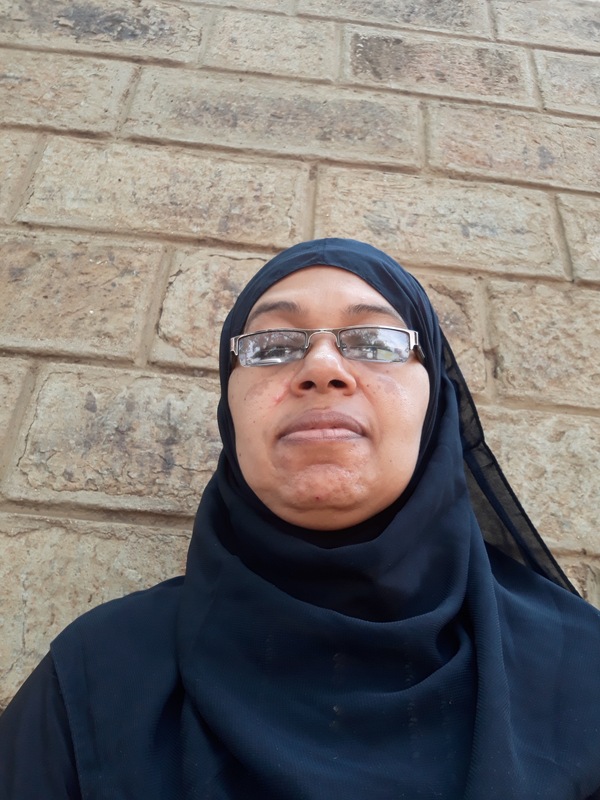 Two other Traveling Scholarship reports below are by: Joyce Zalwango, who attended a 3rd-year degree palliative care training/seminar that ran between August 2017 and May 2018; and Naseem Mohamed, who attend the 5th Kenya National Palliative Care Conference. 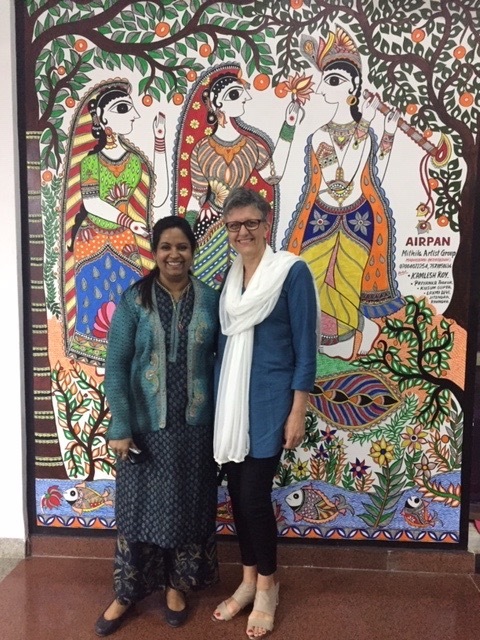 Dr. Pritanjali Singh and Dr. Odette Spruijt at AIIMS, Patna. I have visited Patna, the capital of the state of Bihar in India, five times since 2010. This time, it was to conduct an education program to further sensitize health professionals to palliative care needs and practice. An opioid workshop to help implement the Narcotic Drugs and Psychotropic Substances Act 2014 (NDPS Act) in the state was also on the agenda. The events were scheduled over three days at four major hospitals in Patna. My visit was the continuation of a long-established relationship with two of these institutions: the Indira Gandhi Institute of Medical Sciences (IGIMS), and the All India Institute of Medical Sciences (AIIMS), Patna campus. 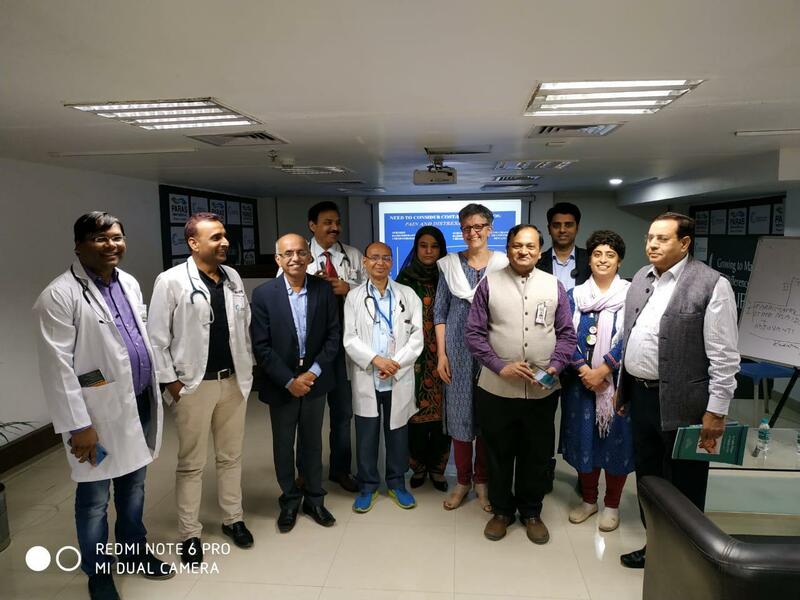 In February 2018, I had visited the two other hospitals included in this program — Mahavir Cancer Sansthan and PARAS hospital — as part of Project Hamrahi, an initiative of Australasian Palliative Link International (APLI) and Pallium India. I arrived on 11 December 2018 and met up with my collaborators, Dr. M.R. Rajagopal and Shalini A.J. of Pallium India. While the program at Mahavir was cancelled due to a programming clash with a key hospital event, we were able to meet with the director, Dr. Biswajit Sanyal, radiation oncologist Dr. Rita Rani, and other senior colleagues. There is currently a 15-bed ward at Mahavir; the majority of patients have advanced cancer on first presentation. Mahavir Cancer Santhan expressed its commitment to establish a 40-bed independent hospice two kilometres away from their main campus. Faculty and participants at the education session at PARAS hospital. 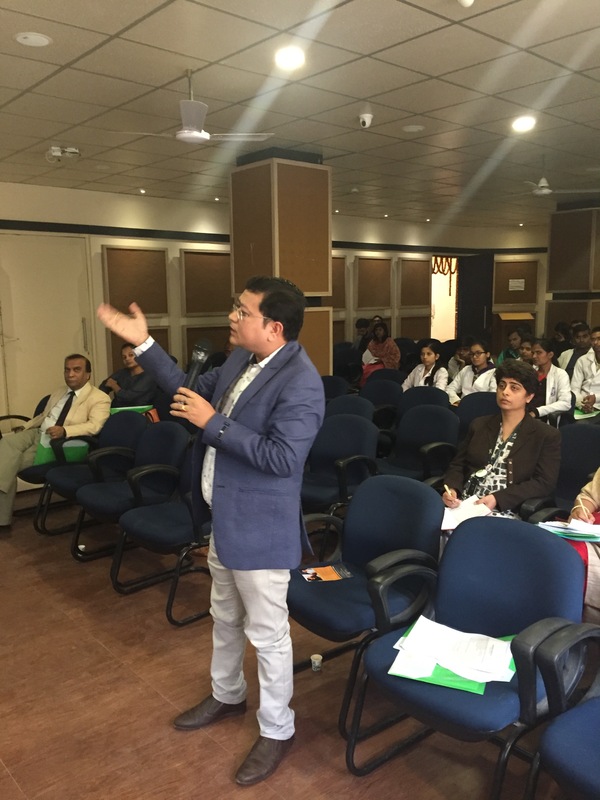 The teaching at PARAS hospital was informal and interactive, centered on the principles of palliative care and pain management. Senior clinicians, mostly medical, engaged in lively discussion with our team. PARAS has a palliative care clinician, Dr. Shane Meraj, who was keen to develop her palliative care skills and seek ways to increase palliative care activity. State Drug Control Administrator Dr. Amal Kumar at the opioid availability workshop. Day 2 at AIIMS was well attended, especially by nursing staff. A wide-ranging program included talks on palliative care in oncology and interventions in pain management, as well as ethical dilemmas and palliative care in noncancer illness. The day ended with a viewing of Hippocratic, the biographical movie of Dr. Rajagopal. The opioid availability workshop, on Day 3 at IGIMS, was attended by State Drug Control Administrator Dr. Amal Kumar. His attendance led to a much better understanding among participants about implementation of the 2014 NDPS Act. We are optimistic that this workshop will improve opioid availability at these four Patna institutions and beyond, as it was attended by clinicians from other Patna hospitals who expressed interest in palliative care education and also the need for opioids at their hospitals. Few health professionals in Bihar have palliative care training, and palliative care services in the community and within health care institutions are in the very early stages of development. There are, however, immediate and long-term solutions. Immediate steps can include: staff training through palliative care organizations (there was much more interest this year), establishing inpatient palliative care centers, and exploring links with community health care providers. Long-term solutions can be: local palliative care training centers, and establishing networks of palliative care throughout the city, then the state. Be prepared for the unexpected. Adjust your program to fit local issues and suit the needs of the audience. Treat hosts with utmost respect and courtesy. Visits involve much work, of which we may be unaware. Guests are held in high regard in India and we need to be gracious guests in return. Case-based teaching is often the most appreciated format. Despite the lack of knowledge of palliative care, many doctors who attend the talks have vast experience in their field of practice; we need to draw on their expertise when teaching palliative care. The knowledge and leadership skills I acquired at the Institute of Hospice and Palliative Care in Africa training seminar I attended have helped me integrate palliative care services both directly and indirectly at different health service care points at Mildma Uganda Hospital where I work. It helped me become an advocate for palliative care in Uganda. Our hospital’s management of complex pain, therapeutic communication, and handling of palliative care issues for children has improved. I conduct palliative care surveys to assess the needs of clients and health care workers, using the feedback to strengthen service delivery. Instead of focusing on the disease, I do a holistic assessment of physical, social, spiritual, and psychological issues. I present platforms for education, such as case conferences and continuous education, to improve the knowledge and skills of workers. Knowledge gaps. Health workers have limited palliative care knowledge and skills to effectively manage palliative care patients and their families. Solutions: Training of health workers; putting in place standard operating procedures to guide assessment of clients during care and management. Medicines stockouts, especially pain control medications but also other necessary sundries, such as colostomy bags and catheters. Solutions: Partnership and networking with the other palliative care organizations to support each other during these episodes, using proper referral and linkage; performing timely stock inventories and requisitions. Lack of funds.There are limited resources to support the implementation of palliative care activities and coordination of palliative care programs. Solutions: Lobby and advocate for palliative care at different levels: the ministry of health, to influence palliative care policies; and within the community, including companies or individuals. Increasing workload as the number of palliative care patients is rising faster than the palliative care practitioners who treat them, causing burnout and compromised patient care. Solutions: Mentoring of other health workers who have not trained in palliative care; use of different service delivery models to spread out patient care, such as day cares, home-based care, hospital-based care, and outreach programs. Use of a work plan and activity plan to enable prioritizing and implementation of programs. Palliative care is a needed and essential health service all over the world and more so in Kenya, where the government has committed to provide health care to all, irrespective of race, ethnicity, religion, and class. Learning about different countries’ pain-free hospital initiatives could not have come at a better time. As with most hospitals in Kenya, pain management is a challenge where I work, at Webuye Country Hospital in Bungoma County. I hope this initiative will roll down to health facilities in Western Kenya; improving pain management will also empower health workers to use the WHO pain management scale, which can assist in removing the fear health workers have toward medicinal opioids. Communities also need to be made aware about palliative care services, so that they can demand services from their county governments. As a child specialist, I know that children who need care are many, but the ones who access it are few. Children born with — or who develop — congenital complications are viewed differently, and need help in the community, possibly from NGOs, and national or religious organizations. Medical students need more places for practical placements, facilities should do benchmarking as a step in improving care, and more health care workers need pediatric palliative care training. Cancer is also on the increase in Kenya; 131 new cases are diagnosed daily, and it is responsible for 33,000 deaths annually, according to Kenya’s National Cancer Control Program. While four regions provide oncology services, we need more — more access for regions with high poverty levels, more guidelines on how to manage different types of cancer and at what point patients should get access to palliative care. Right now, this occurs only at end of life. The Launch of the Kenya Palliative Care Research Network could not have been more timely. There is little research done on palliative care in Kenya, and more evidence-based research is needed. Research can identify best practices for the Kenyan situation, taking into consideration the culture and dynamics of the communities here. It can also assist to improve the quality of care for patients and their families.